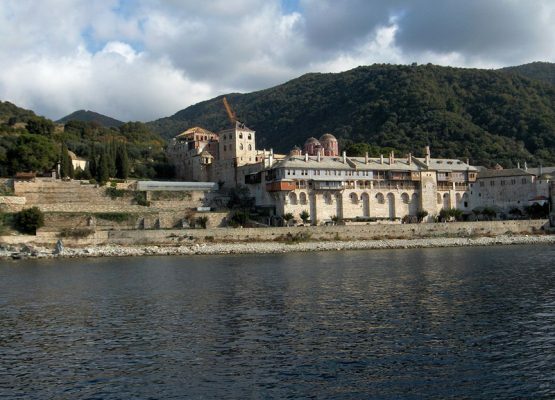 The monastery is in the middle of the athonite peninsula, on the way from Daphne to Karies and is dedicated to the 40 Martyrs. The Katholicon was built in 1761 by the monk Caesarius Daponte and decorated with frescoes in 1783. 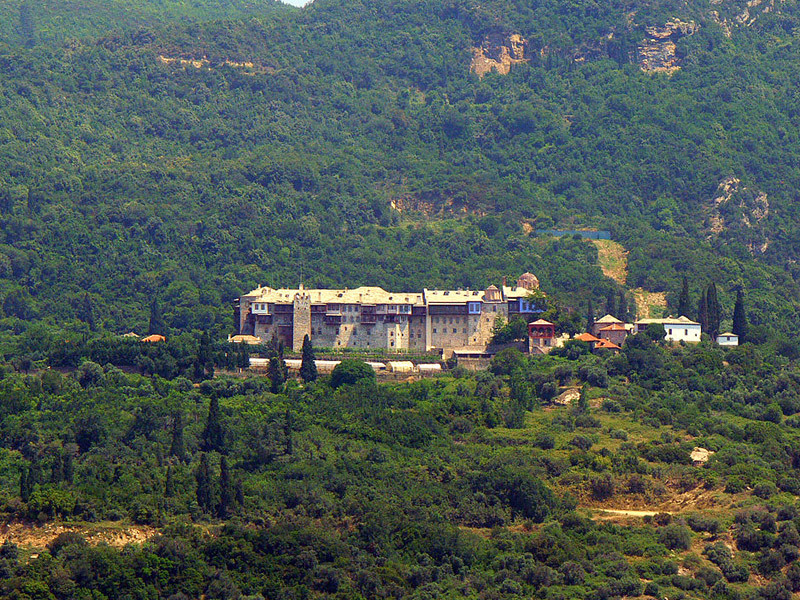 The monastery has several chapels and a few kellia. 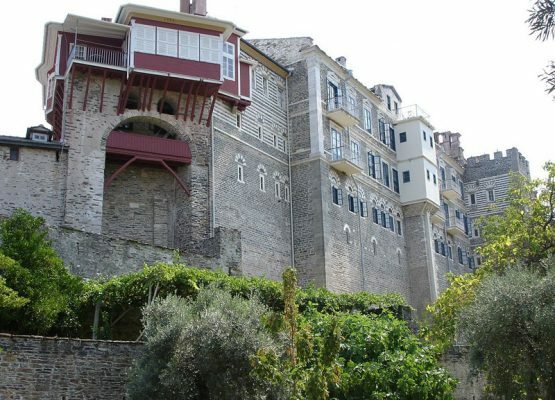 The monastery was founded in the end of 10th c., possibly by the monk Pavlos Xeropotaminos, and prospered till the Frankish conquest, when it is attacked and sacked by pirates. In the late Byzantine period it is financially supported by the Paleologan dynasty as well as Serbian rulers. After the fall of Byzantium, the Turkish raids, and two destructive fires in 1507 and 1609, cause serious damages to the monastery. 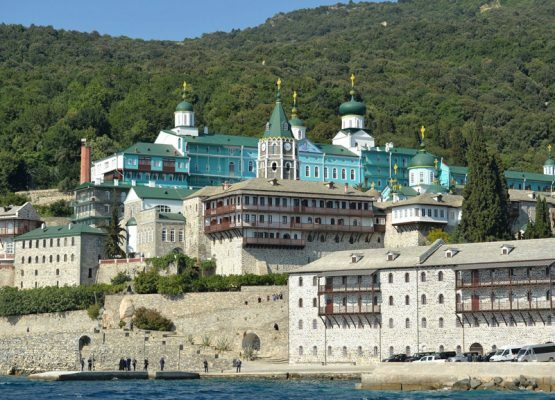 The monastery owns a rich collection of heirlooms, the most outstanding of which, is the largest in the world piece of the Christ’s Cross, as well as a small round steatite icon, known as the Pulcheria Disk. The library contains about 400 manuscripts and 4,000 books. 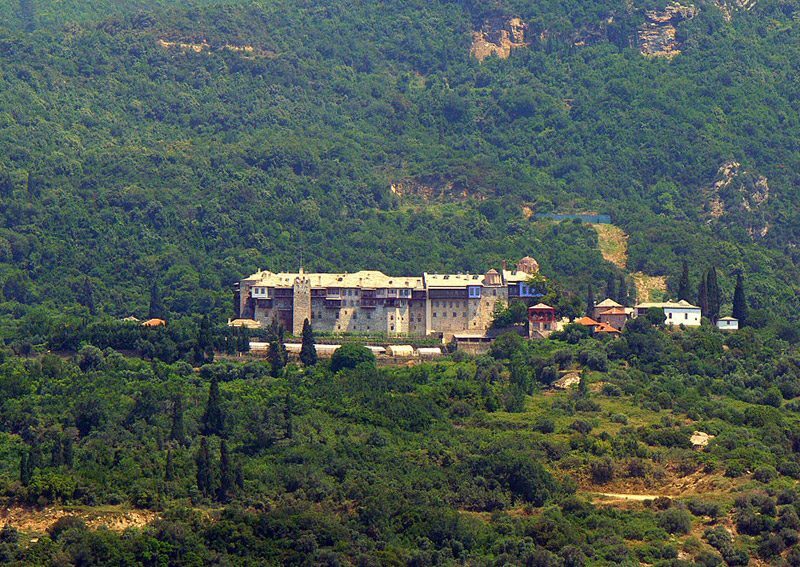 The monastery is inhabited by a brotherhood of 30 monks.